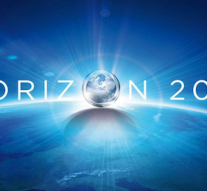 At the end of October 2017, the European Commission adopted the 2018-2020 Work Programme for HORIZON 2020 to support research and innovation activities over the next three years. The adoption of the Work Programme started the publication of the calls for the three-year period, covering all the pillars of HORIZON 2020: Scientific Excellence, industrial Leadership and Societal Challenges. On the 16th of October, new funding opportunities have been launched under the “Health, well-being and demographic change“ a priority within the third pillar “Societal Challenges”. Stimulating innovation in the European healthcare domain and industry by exploring the application of advanced technologies, improve the health of the workforce and promote regulatory science. Specifically, the launched call, Digital transformation in health and care, aims at supporting the management of health and wellbeing while empowering the participation of citizens and facilitating the transformation of health and care services to more digitised, person-centered and community-based care models, thereby enabling better access to healthcare and the sustainability of health and care systems. Proposals are invited on the following topics. Proposals can be submitted until 24 April 2019.